Goodreads: Maia D’Apliese and her five sisters gather together at their childhood home, “Atlantis”—a fabulous, secluded castle situated on the shores of Lake Geneva—having been told that their beloved father, who adopted them all as babies, has died. 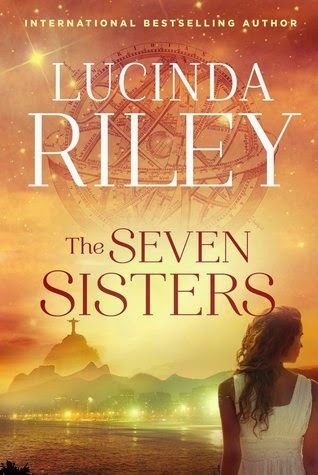 Each of them is handed a tantalizing clue to her true heritage—a clue which takes Maia across the world to a crumbling mansion in Rio de Janeiro, Brazil. Once there, she begins to put together the pieces of her story and its beginnings. Kritters Thoughts: The first in a series that starts out with seven sisters who have recently lost their adoptive father in a sudden way. Each sister was adopted and named after a star and their father has left them clues to find out the details of their births and their origins. This first book starts with the oldest daughter - Maia. She heads to Brazil to find that there is a long lineage of women and quite a bit of drama. Right at the moment that she is learning all the things, the reader gets taken into her great great grandmother's story and I loved reading her story just as much as Maia's. I loved the moments with all the sisters together and seeing their personalities bouncing off each other. It made me excited to see each of their stories - it was like little teasers for their stories. I am excited for this series and where each daughter's story can take the reader. I think this is such a great premise for a series and I can't wait for the next one!